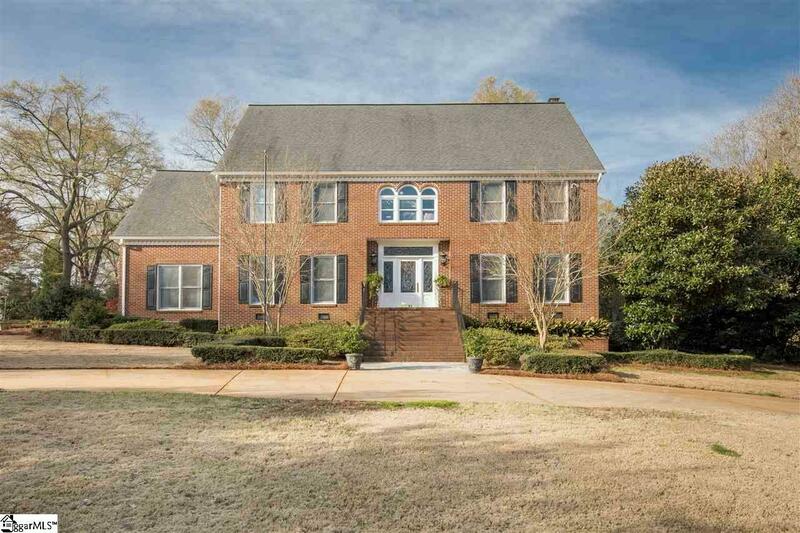 Welcome to 56 Club Forest Lane, where you will find an AMAZING all brick home situated on a large corner lot overlooking several holes of the most prestigious golf course in Greenville, South Carolina! 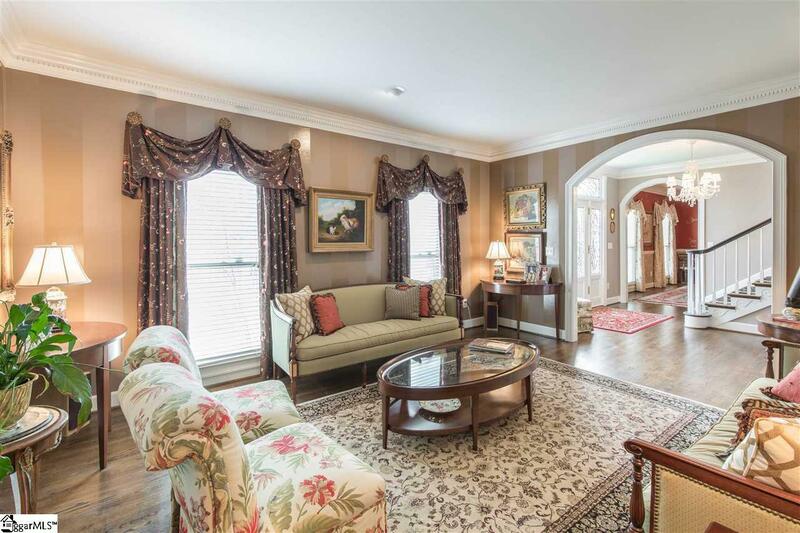 Club Forest Lane is the street to be on in Chanticleer and is loaded with beautiful homes, many children, multiple cul-de-sacs for children at play and extra parking AND is zoned for Augusta Circle Elementary school! The curb appeal is fantastic with a large circular drive and a rear side two car garage entry. The landscape is lush throughout the entire property with year-round privacy, amazing patios for family and entertaining guests, formal gardens, custom stone patio overlooking golf course, the list goes on and on... As you enter this stately brick home, you will notice the attention to detail this architect and builder created throughout this home. There are many upgrades throughout to include; roof and gutters only five years old, updated features throughout and even a brand new kitchen that was completely gutted and renovated that has direct access to rear patio and family room. The kitchen has all new stainless steel appliances, a beautiful custom subway tiled backsplash, and beautiful Carrera marble countertops. There are master bedroom choices down on main level and on upper level! The main level master has been recently renovated to include a fully renovated bathroom with walk-in closet, extra storage closet, a custom walk in shower complete with subway tile and custom glass door! 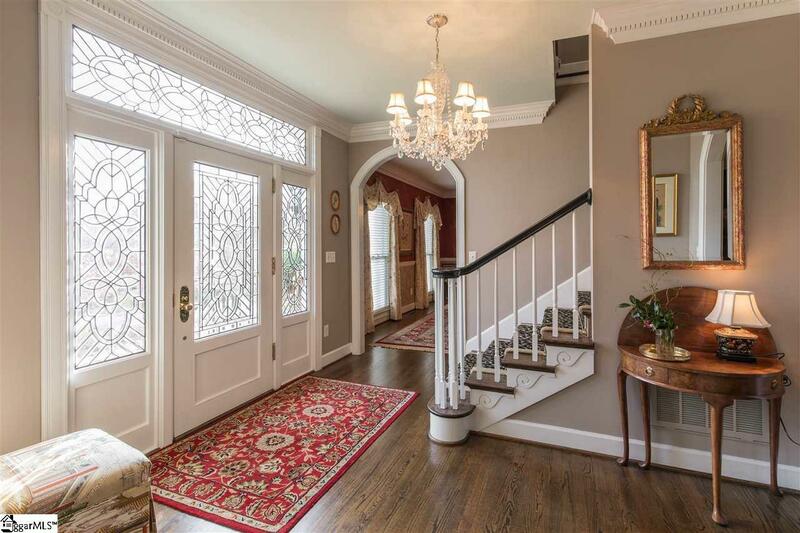 They is both a large formal dining room and living room on this main level, but also a large family room with wainscoting and a gas log fireplace with handsome wood mantle. You will love the sunroom with double door direct access to private rear patios that is just beyond family room with wonderful entertainment flow! Upstairs you will find large bedrooms with an additional master bedroom option. Upstairs master has large walk-in closet and two additional closets in the bathroom suite With an oversized jetted Jacuzzi tub, his and hers vanities with granite countertops and large walk-in shower with custom glass door. 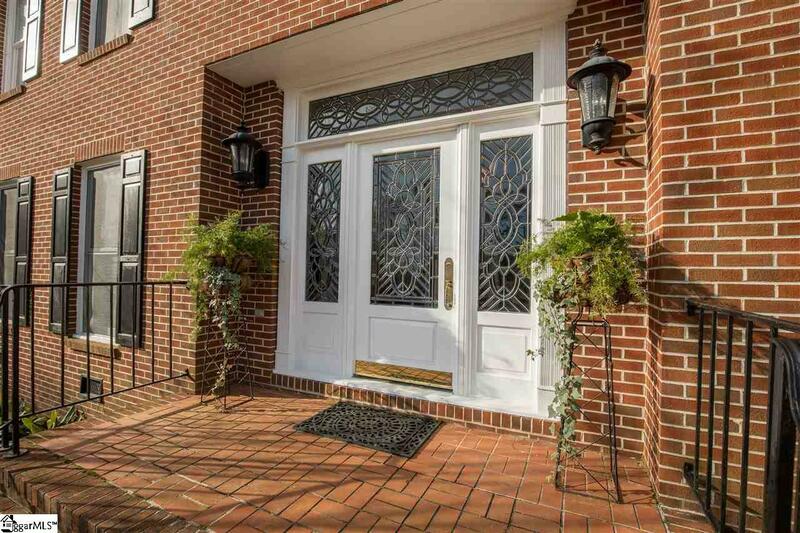 This home is five bedrooms with an additional bonus and four full bathrooms and a half bath!